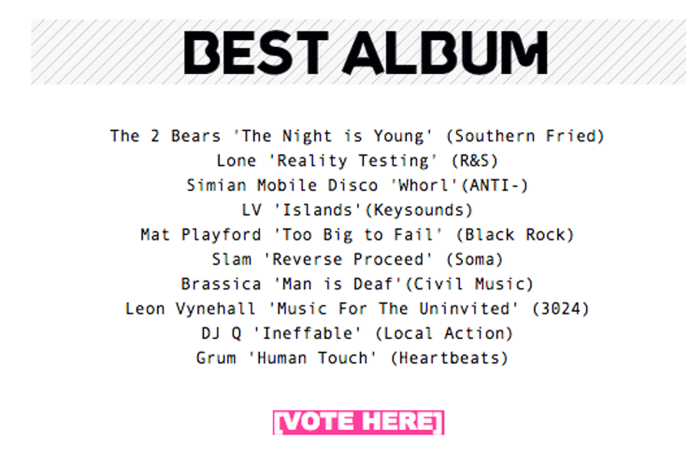 Brassica’s Album Man is Deaf is nominated by DJ Mag for the Best Album 2014. If you like to vote for him you can to it right here. Also up for the best Compilation is Om Unit’s Cosmology. You know what to do….